Situated in North Male Atoll this island paradise is made up of 36 Beachfront Bungalows nestled in lush vegetation. Bungalows consist of twin or king sized beds, an open air private bathroom, hairdryer, mini bar and safety deposit box. Why not explore the surrounding waters with a host of activities including windsurfing, water skiing and sailing. The resort offers a host of sports including Volley Ball, Badminton and table tennis. Discover a world under the sea with Makunudus scuba diving sites. The resort offers a number of diving courses which you must take advantage off. 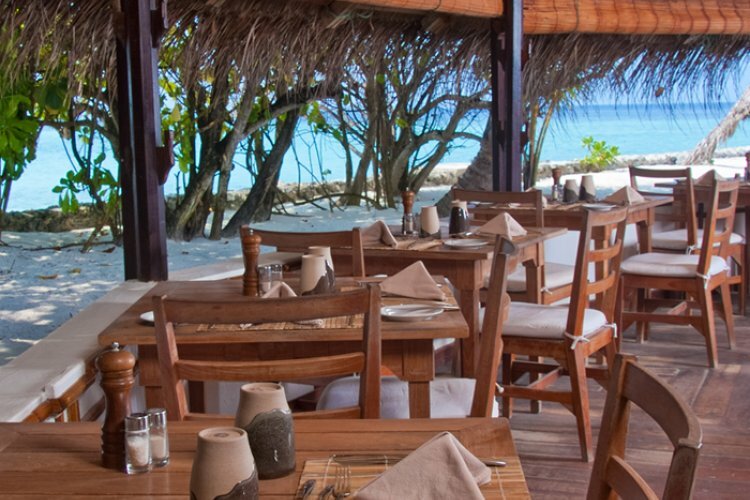 Dine at Ara Iru which offers exotic cuisine and something to suit all with buffets of meat, fish and tropical fruits. Finish your day with a refreshing cocktail at Sand bar and take in your beautiful surroundings. It was perfect..... anyone thinking of going to a place to unwind and relax.... this is the place to be, the staff are wonderful, the island is amazing, its so far from commercialized, its just natural and beautiful. But the staff are just great, helpful, always attentive, and friendly. I would certainly go ago.... we loved it! Small island but beautiful and you truly felt like you were the only one's there.